Vom 17.08.2017 bis zum 18.08.2017 wurden 20 Knowledgebase Artikel veröffentlicht. The VIX API VM Direct Access Function could be used by vSphere users with limited privileges to interact directly with a Guest Operating System (Guest OS). This issue is documented in VMSA-2017-0012 and tracked by CVE-2017-4919. This KB provides details on the privileges that vSphere users with limited privileges would need to use this function. It also provides workarounds that prevent vSphere users with limited privileges from using this function. 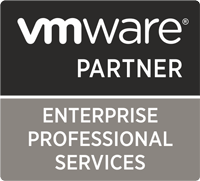 This article provides information on the port requirements for the VMware NSX for vSphere. The alerts are triggered even though the alert condition never hits its threshold. The alerts are not triggering even though the alert condition hits its threshold.